“Pirates of the Caribbean 5” is doing well overseas. Rumors suggest that Disney Studio may come out with the sixth installment of the franchise. But the movie is also facing some criticism from PETA regarding a monkey’s health during the shooting of the flick. Also, check out some shocking revelations by the director of the movie. 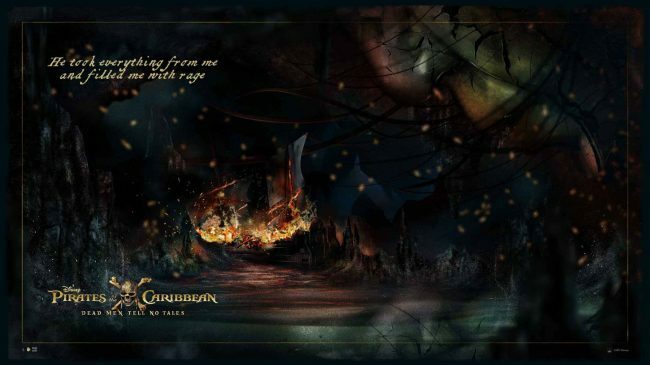 “Pirates of the Caribbean 5” is the latest blockbuster by Disney. But recently it came under fire. One of its actors, Kaya Scodelario came out with a hilarious tale related to a monkey vomiting on the set, reports Independent. Recently during an interview, actress Scodelario who plays the role of an astrologer in the flick said that one of the most memorable cast members was its monkey as he kept on throwing out all the time. According to Scodelario since the monkey had a tiny stomach while filming on the boat he kept on vomiting in between the scenes which she found hilarious. However, even though the actress found it hilarious, it has not gone well with PETA, the animal rights organizations. The group has slammed the “Pirates of the Caribbean 5” team for treating the capuchin monkey so badly. 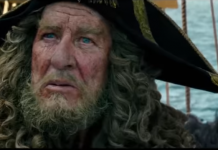 Incidentally, the monkey plays the role of a companion of Captain Barbossa by the name, Jack. The PETA officials called up the producer of the movie. The officials asked them to henceforth use computer-generated imagery if the complex psychological and physical needs of the animals cannot be fulfilled on the training compound or set. 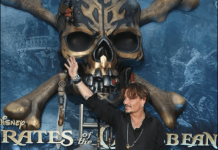 A lot of interesting things happened during the filming of “Pirates of the Caribbean 5.” Importantly, fans were surprised to see a de-aged Johnny Depp. 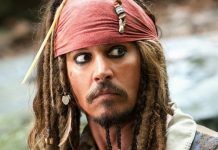 According to the directors of the movie, Espen Sandberg and Joachim Ronning, they used special de-aging technology to get that young look of Captain Jack Sparrow, says Empire Online. Also, the director duo revealed that Paul McCartney agreed to do a cameo only after Johnny Depp texted him. One of the interesting factors is that the directorial team was unaware that the movie is releasing with a different title in Europe. They came to know about it only when they saw the posters. And what was the trickiest of all? 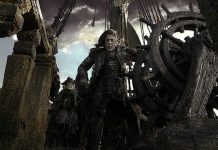 Both the directors feel that for them cracking the compass of Captain Jack Sparrow in the “Pirates of the Caribbean 5” was the trickiest of all. 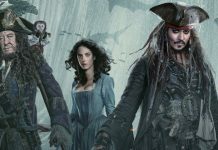 ‘Pirates Of The Caribbean 5′ Stunning Global Figures Surpass ‘Baywatch’ Collections; Sixth Sequel Expected! 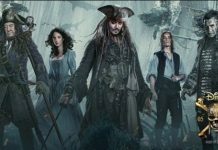 ‘Pirates of the Caribbean 5’ Can Make Or Break Johnny Depp’s Career; Will Hacking Affect It’s Box-Office Collection?